This Chana Dal Soup is simple and easy, but does require overnight soaking and a longer cook time. It is so very much worth the wait though! A super healthy, slow-burning carb source packed with protein it’s a perfect THM E meal paired with a dark, leafy green salad and fresh berries. Have you heard of chana dal? 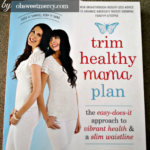 When I first got my Trim Healthy Mama book back in August of 2014, I read about chana dal. I was particularly intrigued by how it is supposed to be a very good carb (yes, there really is such a thing!) for people with blood sugar issues. Since I couldn’t find it locally, I kind of put it on the Fancy THM Stuff To Try Some Day list. Thanks to my affiliate account with Amazon (and most especially to my readers who click on those affiliate links in my posts and shop Amazon – thank you!) I had a small commission payment and decided to see if I could find chana dal. Of course I could! Amazon has just about anything you’re looking for, right? I ordered organic chana dal and only had to wait two days thanks to my Prime membership to get them. I don’t like to wait for stuff. Not gonna lie. If you don’t like to wait for stuff either, Try Amazon Prime 30-Day Free Trial. Chana dal looks similar to yellow split peas or lentils, but they are actually split chickpeas. They are also called Bengal gram dal or split desi peas. Some disreputable businesses will package yellow split peas as chana dal, so be sure to research carefully to make sure you are getting actual chana dal. WHY DID I WAIT SO LONG TO TRY YOU? Maybe because I was afraid to try you. Maybe because I couldn’t find you at my local grocery store. I’m so sorry for not making more of an effort sooner to search for you. Seriously folks, this little legume is just amazing! Just one cup of cooked and seasoned chana dal is super filling AND satisfying (this is an E food, so keep that fat low THMs!). Unlike many E meals, this one doesn’t leave me ravenously hungry in an hour and a half. That’s because the humble chana dal is a very slow burning carby guy. It has a glycemic value of…are you sitting down…eight. EIGHT! For a starchy legume? Surely I have mistyped that, right? Nope. It is full of protein and fiber, which helps keep your blood sugar from spiking. If you are diabetic, you need to make friends with chana dal. Since it is a dry legume, you do need to soak overnight first. You can probably do the “quick soak” method of boiling in water for a few minutes then letting it soak for an hour, but I haven’t tried that. Adding a bit of baking soda to the soaking water helps soften them as well. Making This Easy Chana Dal Soup (Plus an Important Cooking Note). Chana dal cooked long, low and slowly makes a wonderfully hearty, dreamy, creamy soup. You can add meat if you want, but with its high protein content, it’s not even necessary. It takes a variety of seasonings well, too…get creative! I like to add a little hot sauce or a spicy Creole Seasoning Blend to spice it up a bit. Normally I would use a fat free broth to cook this but I didn’t have any on hand and just used water. It still turned out tasty and satisfying! And, if you’re a vegetarian or vegan it’s right up your alley, you could use vegetable broth with very flavorful results. Leave out the yogurt if you are vegan or have a dairy sensitivity. 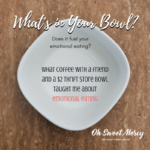 I had one cup…ONE cup of this soup with about half a cup of homemade-nothing-added applesauce for lunch and was just starting to get hungry at around four hours after eating. That NEVER happens with most E meals I eat! You don’t want to go too long between meals normally, though. Four hours is the upper limit that we should try to keep between meals. Sometimes life happens though! I made sure to have a small snack while waiting for my delicious S supper to get done cooking. And, I never once felt a spike in my blood sugar. I am completely sold on the wonders of chana dal. 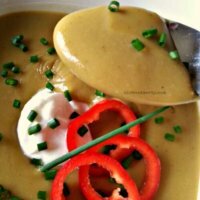 To make this soup super creamy, I used an immersion blender. You could use a normal blender as well. If you don’t have an appliance that blends, no worries…just eat it like it is or use a potato masher to mash up the chana dal. I just like it smooth and silky myself. 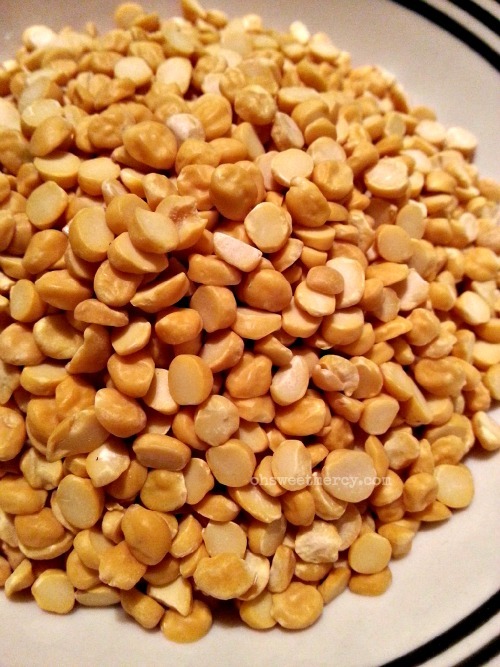 One note about cooking chana dal…it tends to get very FROTHY. Watch for that and skim off the froth as it appears. It will quit foaming up after a while. This hearty and filling Chana Dal Soup is simple and easy, but does require overnight soaking and a longer cook time. It is so very much worth the wait though! 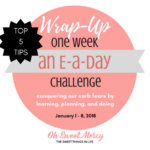 A super healthy, slow-burning carb source packed with protein it’s a perfect THM E meal paired with a dark, leafy green salad and fresh berries. One cup is surprisingly filling and satisfying! The night before you want to make this, sort and rinse your chana dal. Put in a pot with 6 cups of water and 1 tsp of baking soda. After soaking at least 7 hours, drain the soaking water. Add enough fresh water to cover the chana dal by 2 inches or so. Add garlic and onion and bring just to a boil. Simmer on low heat for 2 hours or until the chana dal is soft and mushy. Add remaining seasonings, olive oil and yogurt. Using an immersion blender, carefully blend until smooth. Check for seasoning and adjust to your taste. Be sure to plan ahead for soaking and long, slow cooking! But other than that this is a super easy recipe and worth the wait. 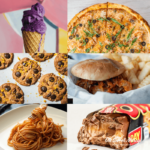 This is an E recipe. Keep any added fat in your meal within plan guidelines. Chana dal is a low-glycemic slow burning healthy carb packed with protein and fiber. It is filling and satisfying! 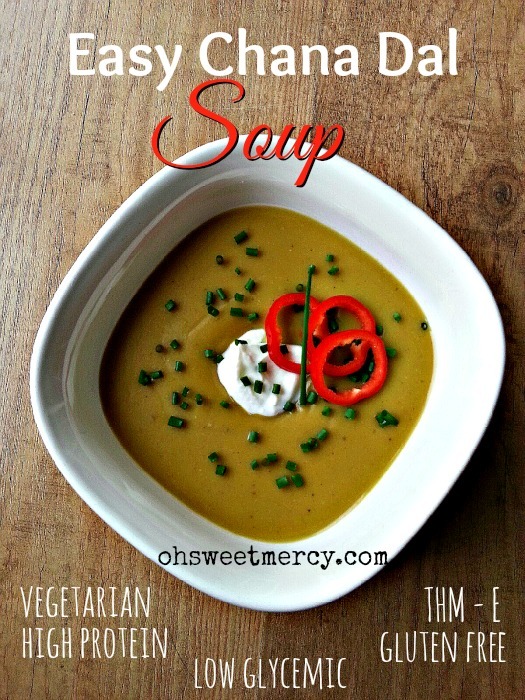 This soup takes some time to make, but it is really easy. Plan ahead to soak the chana dal and let it cook low and slow for several hours. Garnish with your favorite herbs and fresh veggies. Trim Healthy Mamas...this is an E food with a bit of added fat so keep any garnishes low fat or fat free to stay in E range. Or leave out the oil if you wish. Prep time includes soaking time. 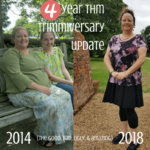 Trim Healthy Mamas, this is an E recipe. Keep any added fat in your meal within plan guidelines. © 2015 Oh Sweet Mercy. All rights reserved. 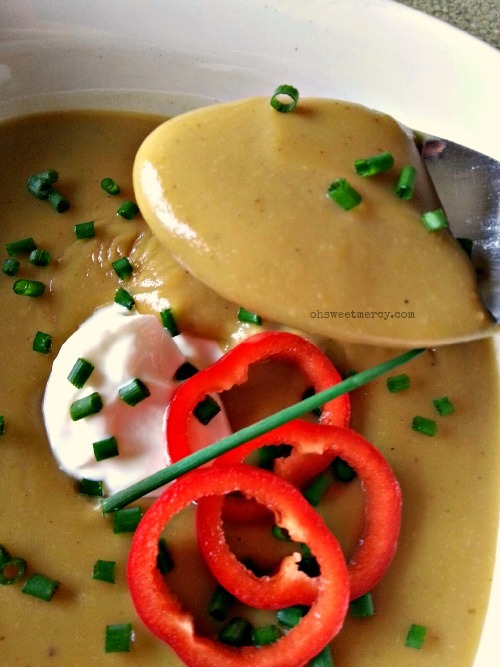 Don’t Forget to Pin this Easy Chana Dal Soup Recipe to Your Favorite Pinterest Boards! 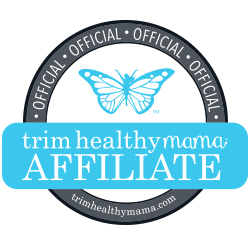 Trim Healthy Mama – New and Improved Plan Book! This sounds wonderful. If I have whole chick peas will this still work? I’m sure it will! It might taste slightly different and depending on how your body responds to chickpeas it might have a different impact on your blood sugar.